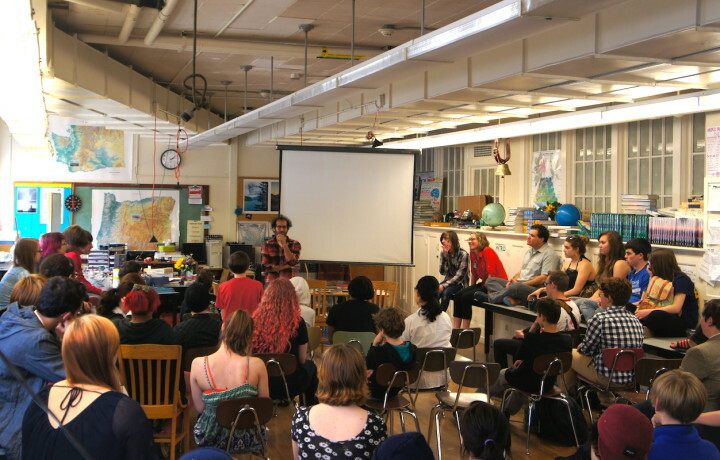 About fifty students from Stephen Lambert’s classes at Metropolitan Learning Center gathered in a sunny basement auditorium for a Q&A with National and International Poetry Slam Champion Anis Mojgani yesterday. 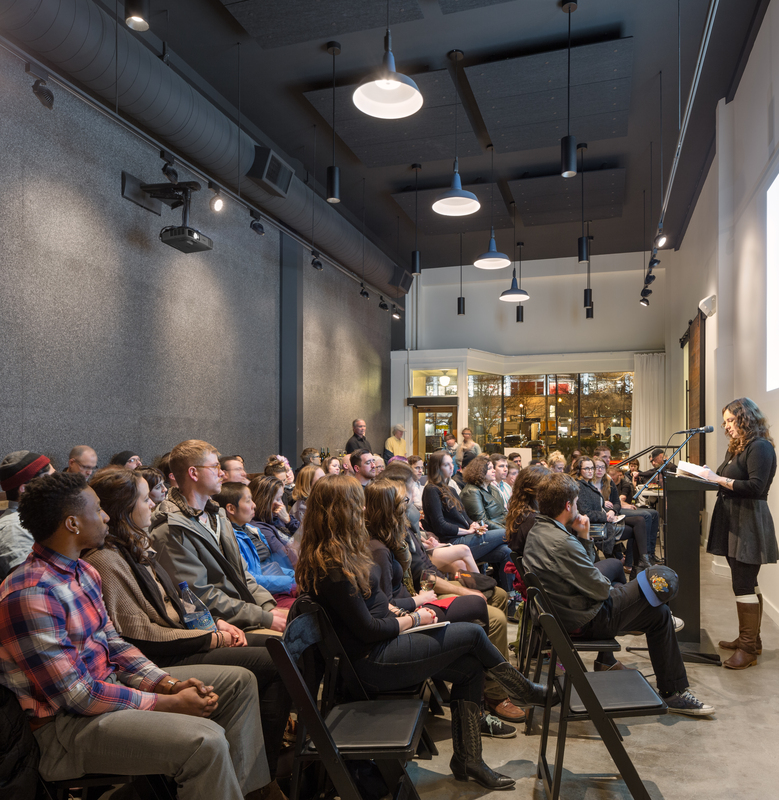 Many of these students are studying slam poetry, and they had lots of great questions about Mojgani’s writing practices, inspiration, finding literary community, and opinion on the phenomenon of slams. 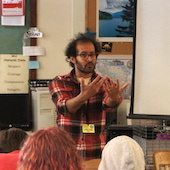 When asked about his methodology, Mojgani explained that he spends three to four months a year on the road, performing. During the rest of the year he is home writing. 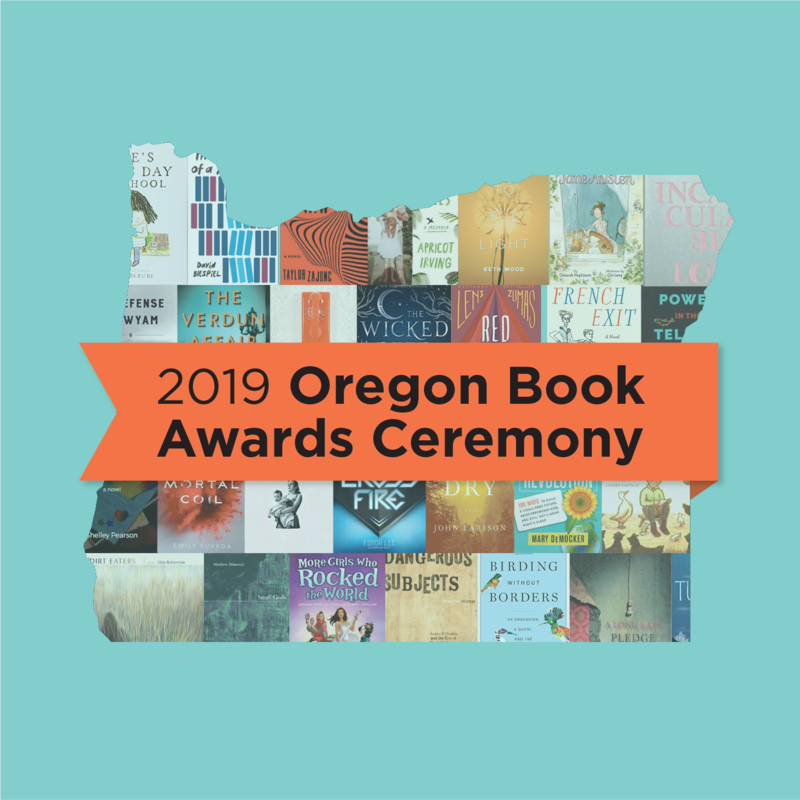 “I try to be in a routine as much as possible,” said Mojgani. “It’s not glamorous or romantic; I treat it like a job.” He emphasized the importance of being familiar with writing, comparing it to a friendship–if you haven’t seen or talked to a friend in a long time, the connection can weaken. He also said that he finds it helpful to return to art that inspires him, whether film or music or writing. 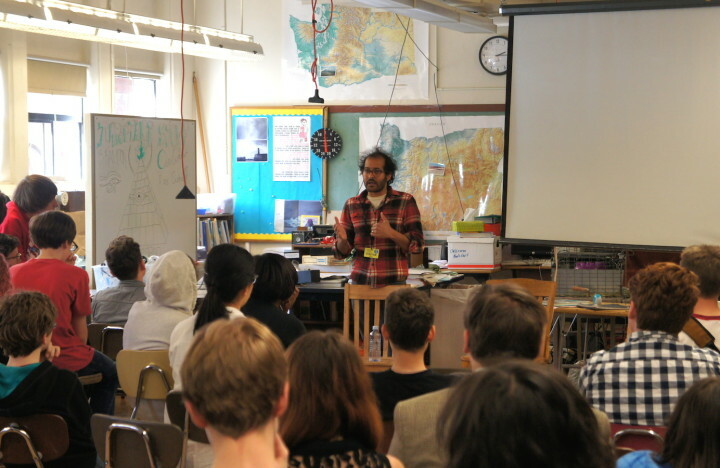 When asked for tips on public speaking, Mojgani said he reminds himself that “the irrational things we fear are just that: irrational.” He noted that most of the time, the things we fear don’t actually happen, and even if they do, no one remembers them. 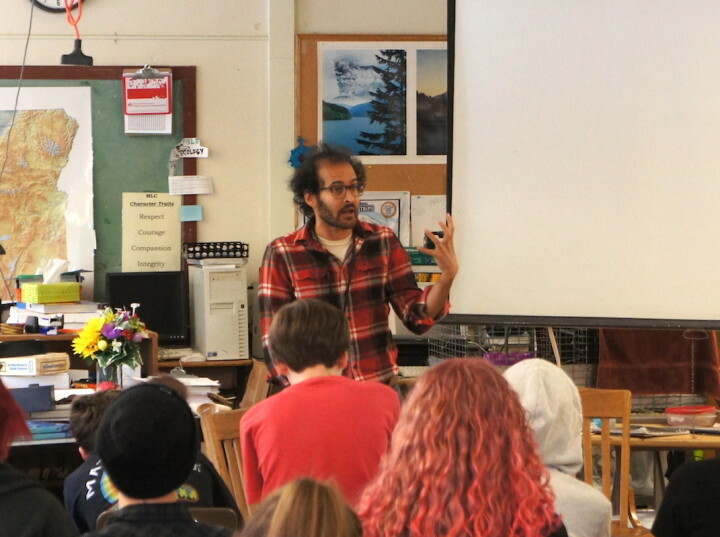 And by request, Mojgani wrapped up by performing a poem for the students. 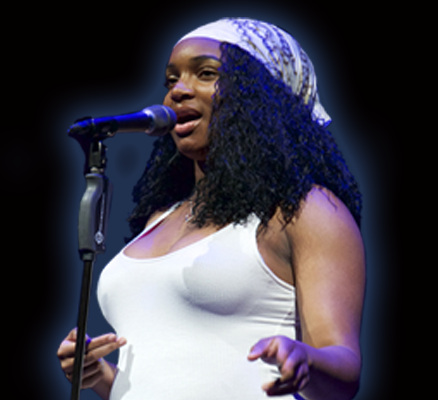 The applause was loud and long. 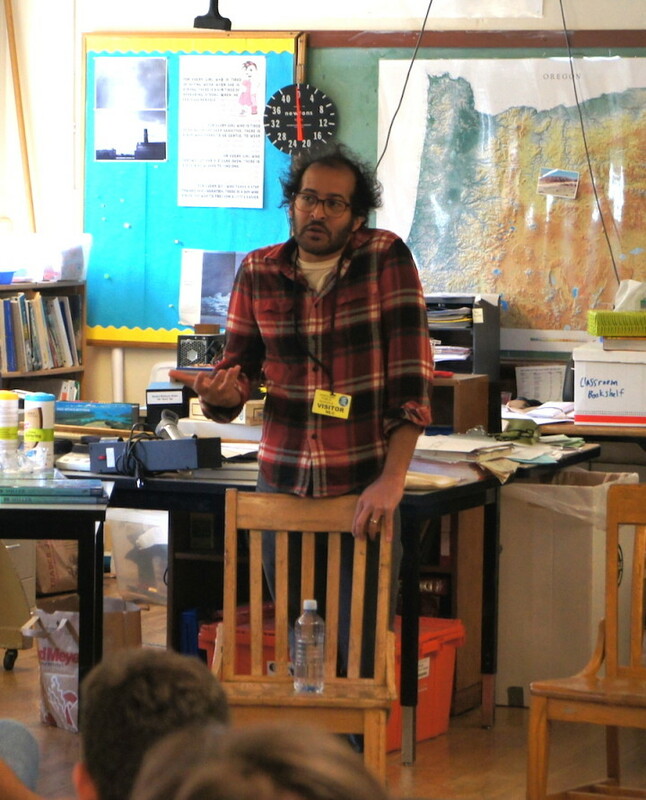 Thanks so much to Mr. Lambert for helping us coordinate this visit, to Anis Mojgani for his generosity and warm honesty, and to the students for being so engaged and well prepared. It was a great author visit!